In succeeding centuries, as armies ranged back and forth in retreat and conquest across the continent, polo was adopted by cavalries as a training exercise for mounted warfare, and by kings and emperors, shahs and sultans, khans and caliphs as a court pleasure. In this way it spread to Asia Minor, to the Indian sub-continent, to China and Japan, to Egypt and Bysantium. 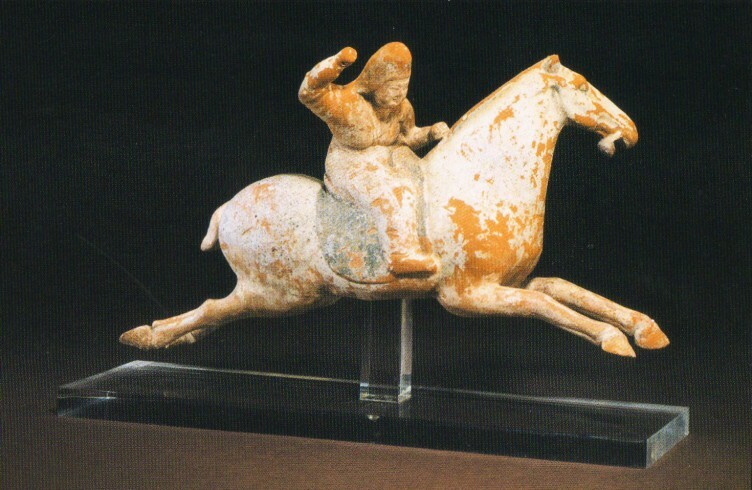 (…) We know that the polo fields of eastern courts in ancient times were longer and narrower than those of today. (…) Polo’s greatest memorial is the Maidan-I-Shah polo ground, commissioned in the late sixteenth century by Persian monarch, Shah Abbas, as the centerpiece of Isfahan, his new capital of the kingdom. The polo field occupied the entire expanse of the central city square. It was 460 metres long by 100 metres wide; at either end stood a pair of goal posts, eight metres apart (the regulation width to this day); to one side of the ground. mid-field, stood a seven-storey palace at whose centre was a colonnaded gallery to enable courtiers to watch the game. Court musicians sounded trumpets whenever the ruler scored a goal. 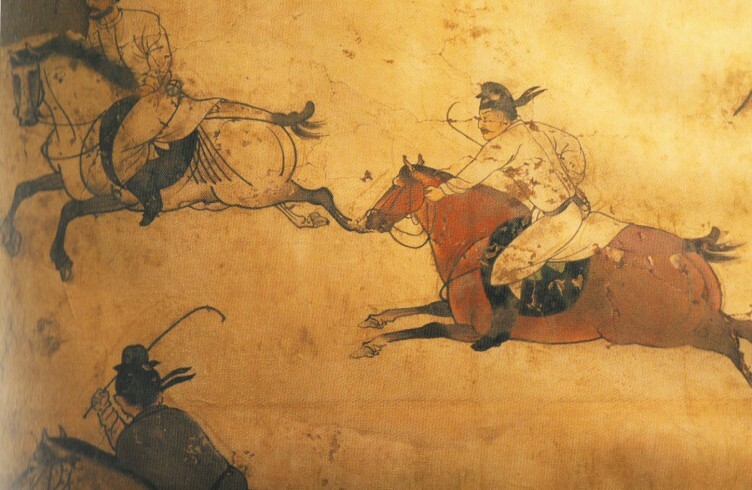 (…) Archives from eastern courts affirm the importance of polo. The tenth century Chinese emperor T’sai Tsu beheaded all the remaining players when a favourite relative was killed during a polo accident; the so-called Radiant Emperor of China, Ming Huang was a great enthusiast for the game, as was the Islamic Caliph Harun-Al-Rashid, whose jukander, or polo manager, is mentioned in court scripts. The great eastern empires collapsed in the seventeenth and eighteenth centuries, and polo as a courtly pleasure vanished. Only among isolated pockets of tribesmen of the Indian sub-continent, stretching north of Afghanistan and Tibet (the Geebung rather than the Cuff and Collar end of the game), did polo persist. 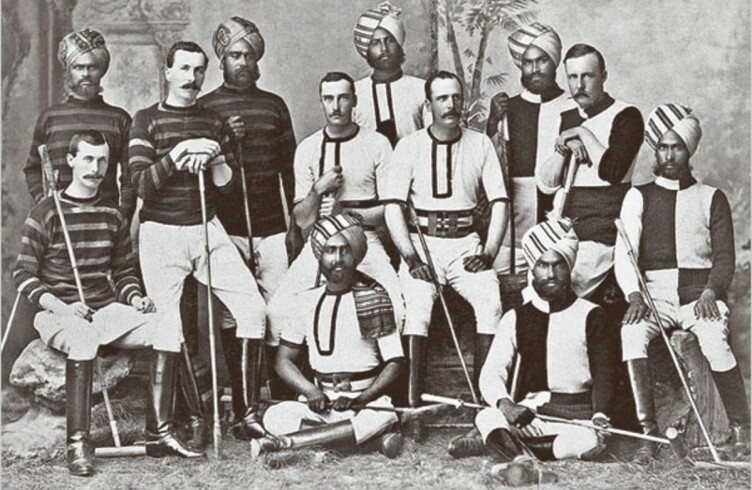 Despite a succession of European travellers to eastern courts (George Manwaring for example), who returned with eyewitness accounts of the game, it was not until the second half of the nineteenth century that the west, specifically the British in India, adopted polo from the east. 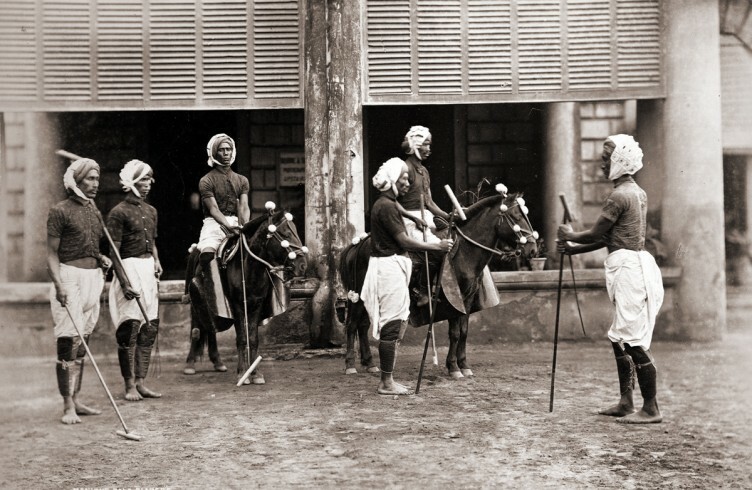 The tutors to British polo, so far from any connection with oriental courts or cavalry regiments, were Manipuri tribesmen in the Calchar District of northern Assam. They called the game pulu after the Tibetan word for willow root, from which the ball was made. They called the game pulu after the Tibetan word for willow root, from which the ball was made. While there are no known records to point either way, the best guess is that the Tibetans, having learnt the game from their Chinese conquerors, passed it on to the Manipuri. British tea planters who settled the Calchar District in 1854 took up the game with them. In 1856 a British subaltern, Joseph Sherer, was posted to Calchar as Assistant District Superintendent. The hill tribes of northern India were the single, slender thread that linked the game played by nobility and cavalry officers of ancient Eastern empires with the polo of modern times. Today, though polo of the hill tribes continues in isolated pockets, the might of the British Empire in the late nineteenth century meant that their version of the game was rewritten to reflect the sporting and military codes of their new rulers.